I know I owe everyone a big apology. I said I was coming back. I came back...then I bailed for a couple weeks. What can I say, motherhood is unpredictable and a little overwhelming at times. It's a miracle I'm working on this post right now, since I spent all last night up with a sick little girl. Now I'm wide awake with pure adrenaline. But just to make up for my absence, I promise to post twice next week. 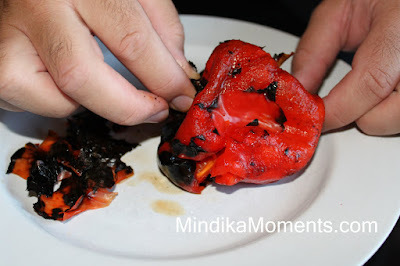 Today I'm sharing an tutorial for Roasted Red Peppers. On Monday I'll post my yummy recipe for Roasted Red Pepper Cream sauce. Then next Wednesday I have a yummy Plumb and Mango Cobbler that will melt in your mouth. Forgive me yet??? Well let's get started with the tutorial. 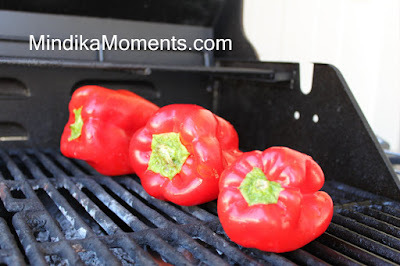 If you've never roasted your own red peppers, you really should give it a try; especially if you've ever bought them in a jar and paid a small fortune doing so. You'll kick yourself when you realize just how easy it is to do it yourself. 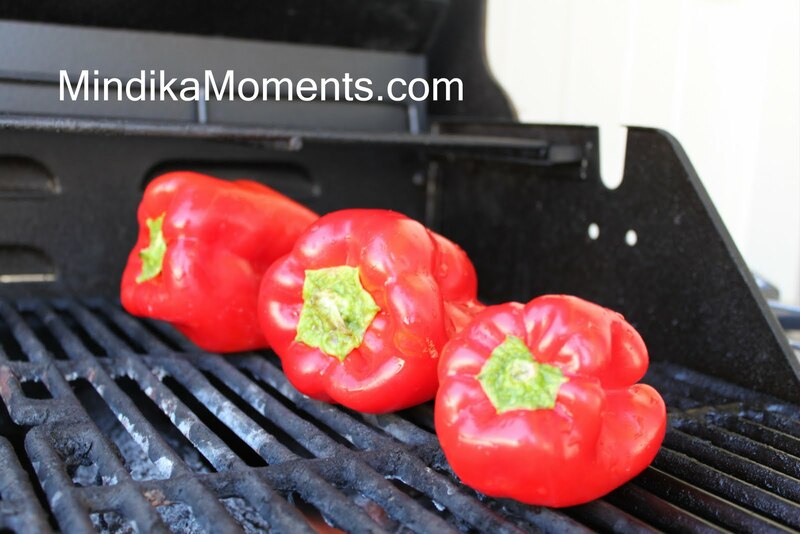 First you start with some fresh bright red peppers, from your garden, farmers market, or local grocery store. Turn your barbecue on medium-high and throw those baby's right on the grill. Slowly rotate the peppers as they begin to char. You want them to get nice and blackened all over. The timing will depend on how hot your grill gets, but I usually rotate mine every 2-3 minutes. 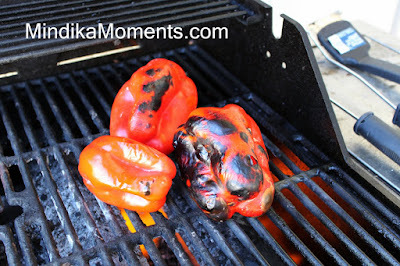 Once they are nice and black all over, take them off the grill and put them immediately into a ziplock bag. You are going to allow them to "sweat" in the bag for about 15-20 minutes. 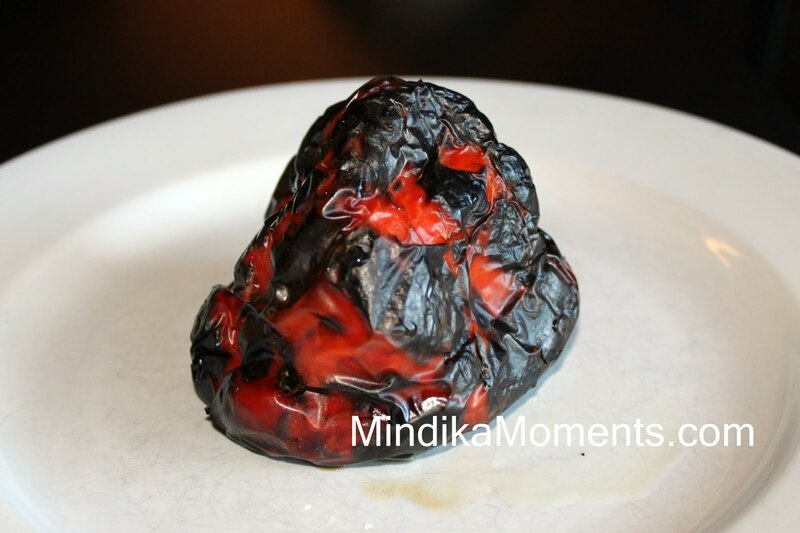 After 15-20 minutes you'll have a nice shriveled pepper that looks a little something like this. Start peeling off the blackened skin. It will just slide right off. Be sure to never rinse or wash the pepper in water. The water will wash away all that good smoky flavor. Once you've cleaned off all the skin (don't worry if there are still small bits of skin left), cut open the pepper to clean out all the seeds, ribs and stems. You'll be left with beautiful, delicious, pieces of roasted red pepper. On Monday I'm going to show you how to take this goodness and make it into a decadent cream sauces for pasta, but honestly roasted red peppers have endless uses. 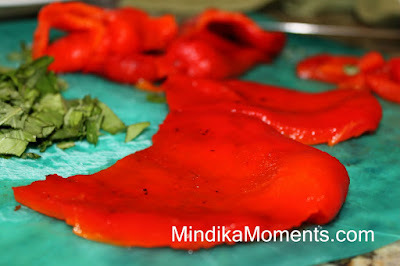 You can Julienne them for pasta dishes, taco's or fajitas. You can add them to soups, stews or casseroles. You can freeze them for later use. 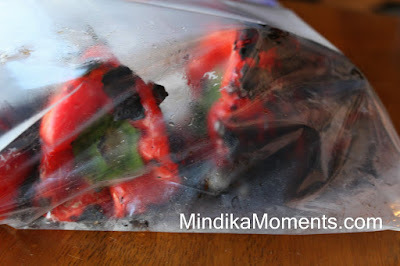 This is also a great way to preserve peppers from your garden.